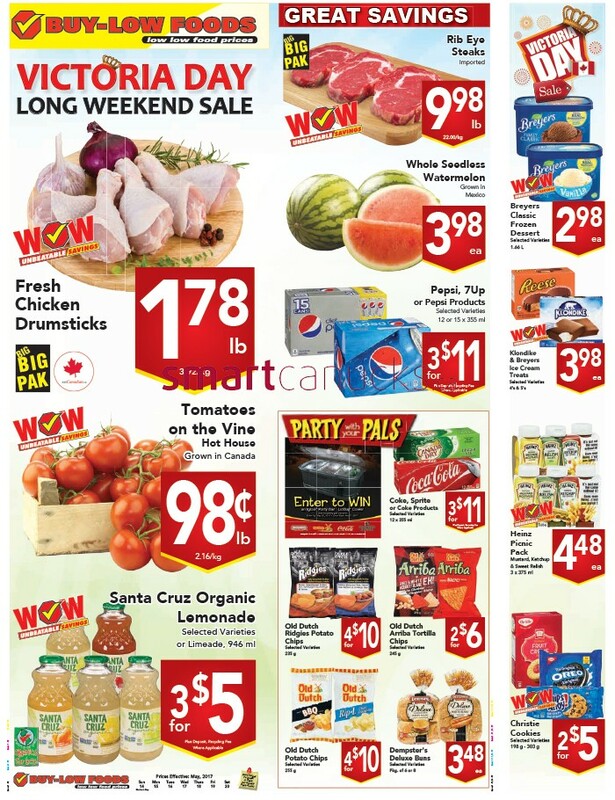 Buy-Low Foods Flyer May 14 to 20, 2017 - Buy-Low Foods Victoria Day Long Weekend Sale. Fresh Chicken Drumsticks 1.78 lb, Tomatoes on the Vine hot house Grown in Canada 98 c /lb, Santa Cruz Organic Lemonade selected varieties or Limeade, 946 ml 3 for $5, Rib Eye Seteaks great savings $9.98 lb, Whole seedless watermelon grown in mexico $3.98 ea, PEpsi, 7Up or pepsi products selected varieties 3 for $11, and more on cover Buy-Low Foods flyer. For more detail products like Quality meats for less, Deli, Snacks & Beverages, Store Wide Savings, Canning Supplies. 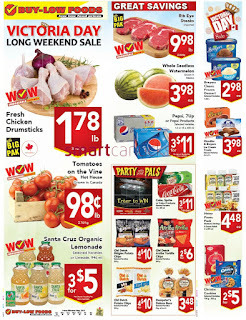 Just a simple click on the image bellow for details Buy-Low Foods Flyer May 14 to 20, 2017. Buy-Low Foods Canada Flyer Valid May 14 to 20, 2017. Subscribe this category for more of Buy-Low Foods Flyer products and deals.